I'm participating in a Paper Issues blog hop today through October 7 and it's sponsored by A Flair for Buttons. If you haven't checked out her etsy store yet, you should...but not until after you get to the end of this blog hop because you have a chance to win some. This girl is just so loveable, so huggable, so kissable! Seriously, I just love her to pieces. I tell her that I love her to pieces all the time. The first time she heard it was said, "what?" and I repeated myself and gave her a big hug and I thought she just shrugged it off. This sweet girl is soo good about expressing her love and I am luck to hear "Mommy, I love you" many times every day. A few days after I told her I love you to pieces, she said "Mommy, I love you in 5 pieces." Oh my word, I died. She's just too cute. Just a couple of days ago she did it again. She said "Mommy, I love you in 2 pieces." Then yesterday she told me she loves me in a million pieces!!! That's just one of the many things she says or does every day that make us smile and cherish having her in our lives! Creative How to: I started out using this Lily Bee September sketch. I did a somewhat loose interpretation of it but stayed pretty true to it overall. I used the paper strip at the top but I made it sizably larger. I used the banner stickers at the top but left aligned them to the page because once I added the heart, it just looked too cluttered. 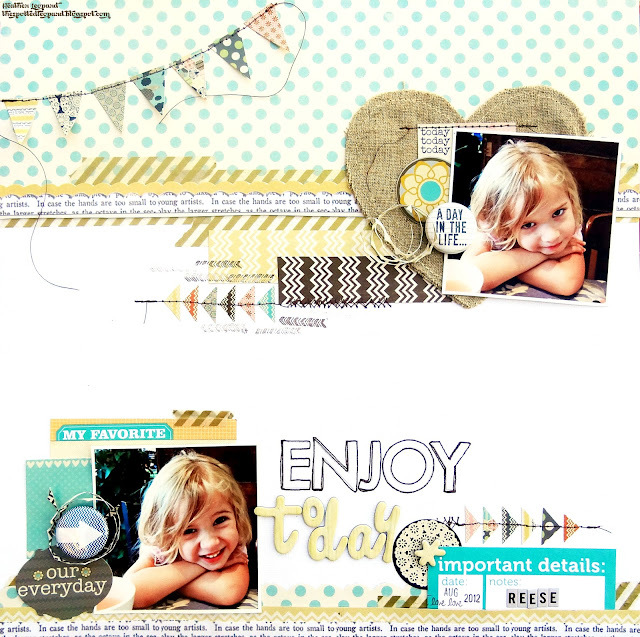 I added strips of paper, washi tape and stamping to create chevron and strip effects around the photo. Also, I hand cut the scallops by simply following along the pre-printed scallops on the 12x12 paper. When I was done, I was left with a very thin, curly bit. It was just laying there on the side of my desk asking, begging, pleading to be used on the layout so I added it over the heart. Oh and I like to stretch my supplies and I noticed that two hearts were stitched together so before I adhered my heart, I cut out the middle of the heart on the back. I kept the stitching and two layers on the outer edges but now I have a smaller heart I can use elsewhere. Oh and the flair was sent to me from A Flair for Buttons. I really like the quality of these bits and will be ordering more! My journaling is tucked behind the photo at the bottom. I added a strip of washi to the card so I can easily pull it in and out. Note that I am not picking a favorite daughter! I'm talking about favorite moments with this little girl. The arrows were actually cut from the Lily Bee cardstock sticker sheet. I just trimmed them down a bit from a banner to triangles. Oh and the title was made like this. The word ENJOY is using white alphas from the Bella Blvd alpha sheet sent to me in the kit. I fully intended to outline them since white on white doesn't necessarily show up very well. :) The word today was made my ink staining the Amy Tangerine white wash muse alphas. These were white and needed some color. They took the ink very well. I simply rubbed them over the ink pad and then wiped off the excess ink. 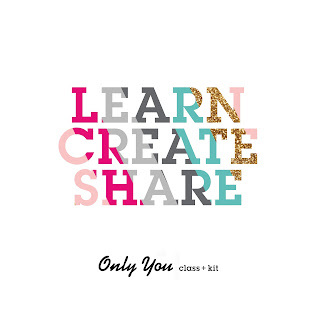 It's time to link up your flair projects to Paper Issues but while you're here why don't you hop along with us for a chance to win some flair yumminess from A Flair for Buttons! Just like their Facebook page and then leave a comment on THIS Paper Issues post saying you did for a chance to win. Two winners will each win a package of flair!!! Plus if you purchase flair from her before October 7, you can get a 10% discount by using the code ILOVEPAPERISSUES at checkout! Thanks for stopping by today! 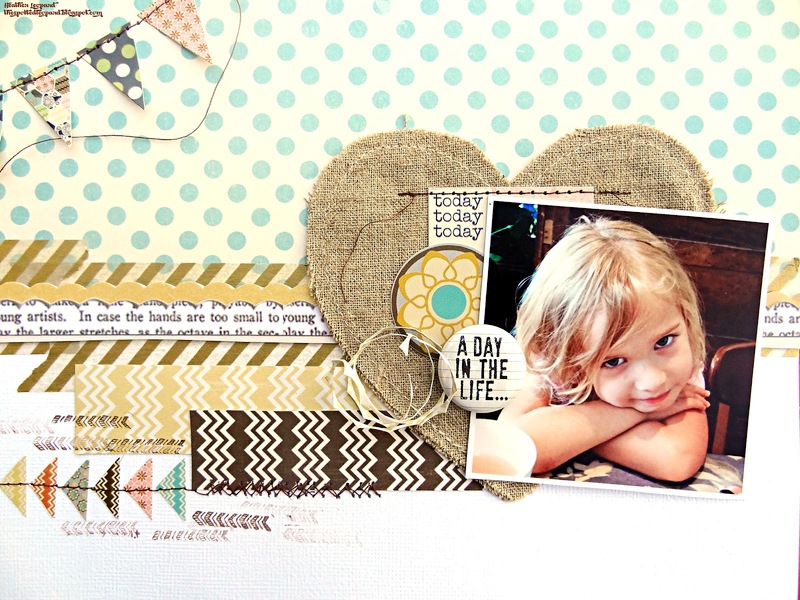 Hop on over to Izzy's blog for more inspiration! Oh and you can get 20% off all your Paper Crafting goodies at the Paper Issues etsy store by using my code HEATHER at checkout! Very cute layout and I love the colours in the one below too. This is just fabulous Heather!! I love pictures. Too cute!! This is GORGEOUS!! I loveeeeeeee the photos and that heart!!! She is ADORBS! Love how you used the cloth heart - have a few of these & was uninspired until now :~) Great tip on the cheating heart cut from the backside! little ones say the most wonderful things, cherish every moment with them!!! love the texture the burlap heart gives the layout. Such an adorable page Heather!! And sweet photos of your girlie!! :) Love how you used the sketch, but added in the 2nd photo and great use of those cute flair buttons!! I totally love this! Fabulous and sweet. This layout is amazing! Absolutely perfect! Love!!! Man, that page is divine! All the little details, stitching, etc... I love it! Adorable photo, and I just love the in 2 pieces story! Such great elements! Love the canvas heart, stitching, flair, so perfect! oh my she is a DOLL! How do you EVER say no to that face?! 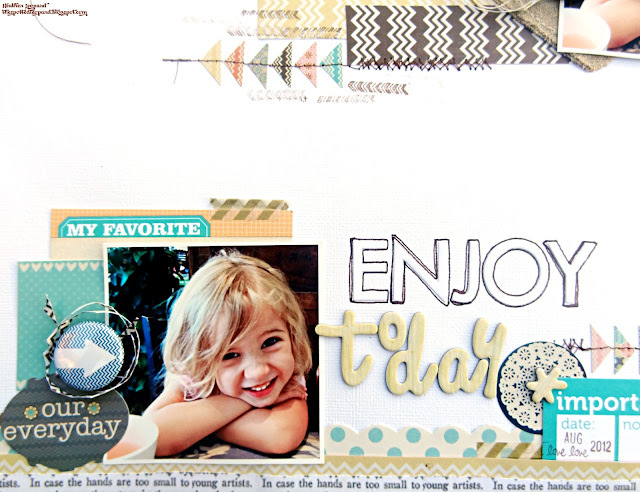 GREAT layout ms. Heather! This design and everything about this is stunning!! I'm your newest follower, your work is amazing and so inspiring! This is my favorite of yours recently. I just LOVE those photos...she is so frickin adorable!!!!!!! Love the sweet photos and the colors...such a beautiful layout! Bookmarking you ! Love the how to !! Cute use of flair! !